Early childhood in the circus. I was a poor student in HS due to my love for chess. My soft studies (English, Social Studies) grades were fine, but my math and science were poor. I failed Elementary Algebra four times. This didn't bother me as I reasoned that my logic and English skills would more than compensate in my work as an adult, as long as I remained politically correct. Which I always do. Summer afternoons were often spent at the Rochester Chess Club which met at the downtown YMCA. I had many friends near my age. And I played many adults who, of course, influenced my chess development. Most notable was the 93-year-old Rev. George Switzer. He routinely played 1.e4 f5?! as Black. Few could beat him. I sure couldn't. At 16, my parents sent me to to live with my grandparents in Philadelphia. I attended Olney HS which had also been comedian Bill Cosby's HS. I skipped school a lot. Most afternoons, I would take the subway from the Hunting Park station downtown and play chess with Mike Shahade and Arnold Chertkoff, two 2100+ players. Mike is now an FM and his son Gregory is an IM; daughter Jennifer is a WGM. While most teenagers were getting passing grades in school, I was playing chess for money. I spent the next thirty years as an 1800 rated player. I thought that memorizing openings would improve my chess. My tournament games progressed smoothly for eight to twelve moves, after which I quickly lost. I discovered that although openings were important, pawn topographies as discussed in Andrew Soltis's Pawn Structure Chess were much more relevant. All masters are aware of and practice the PSC approach. Three months later I became a USCF master. Skipping forward to the 80's, I was CCCR secretary and served as TD for the minor Wednesday night tournaments. "Hmmm, will I actually have to do any serious work, or can I accomplish the duties in my typical desultory manner? ", I wondered. Hadn't I always been dependent on the kindness of strangers and the forebearance of reptiles? CCCR would probably not give me much flak if minor amounts went astray. If I lost a few dollars, it's only a chess club after all. An accountant convinced me that not accounting for money would constitute fraud. I resolved to account for every cent. All funds, EF's, club and USCF memberships were duly noted and the Treasurer received funds every week with a written account. I lugged the transportable Osborne Executive with the previous tournaments to the meetings but no one particularly cared, then or now. Rick G. had a small daily newspaper here in Rochester, NY. One day I ran into him at Four Corners and asked him for a newspaper. We ran up the stairs of the Powers Building to his office. I discovered that you didn't need a six-figure income to rent an office. I then rented an office there for ~$120 a month. A chessplayer from Leon's Typewriter sold me a Commodore 64 and a database program on cassette for storing membership names and addresses for mailing labels. My office was adjacent to the Genesee Valley Chapter of the NY Civil Liberties Union. Nearby three elderly real estate agents drank coffee and whitled away the hours. The Powers Building closed for renovations after the Tommy Termotto scandal and I moved to the Cox Building. It was smaller and less elegant than the Powers and more expensive. New officers came in and the CCCR moved to the Rochester Chess Center. The CCCR approach become much less formal and more like a social club. Rules were relaxed, accounting was private. They lost the knowlege of calculation of expiration dates. So all one-year memberships expired on Dec. 31. 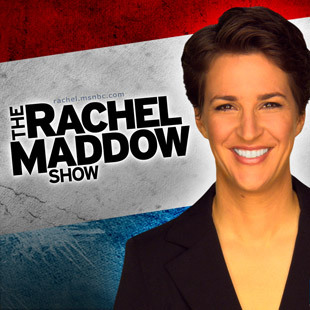 She's the charismatic and self-effacing host of MSNBC's Rachel Maddow Show. I watch her almost every week night. One night something clicked in my head and now I have a bogometer which instantly recognizes the lies and hyperbole she spouts. But it's all Donald Trump's fault for not being more sensitive and politically correct. Not rolling over, acquiescing to the demands of protesters. "Don't vote for him, he's another Hitler and a racist." Most Americans can see through Rachel Maddow's transparent lies. They laugh at her silly arguments and cliché half-baked conclusions. She and her ilk in the media are helping to elect Trump to the presidency by their arrogance toward real working Americans. Yerba maté tea is good for your chess! The yerba mate plant is grown and processed in South America countries, specifically in northern Argentina, Paraguay, Uruguay and southern Brazil. Packages are available in US health food stores. What are its health benefits? Is it just another caffeine fix? I spend a lot of time indoors during the cold winter months, although I do enjoy a daily walk, regardless of weather conditions. Winning more than three games of online chess at ICC invariably results in a deep slump where I just can't win for trying. So on the Fall of 2013, I began upgrading my home theater setup. A smart TV, a Toshiba 39L4300U was first. Why such a small one, you wonder? Well, frankly I wasn't completely sure I could set up a complex component home theater system. Setting up a dlna server was difficult, but enjoyable. I like setting up new audio and computer products, software and hardware, more than I enjoy the benefits of using them, you see. In my case, it doesn't have to be expensive, just current and ubiquitous. Next acquisition was a google chromecast, a dongle for the TV that wirelessly streams content from chrome web browser to the TV. Good for continuously following ICC 5-minute games in bed on a large screen TV! I also added a Roku 2. Next purchase, a Onkyo TR-616 A/V receiver What a barrel of fun this was. I had to relearn new component topography. A local audio/visual camera store, Rowe Photo, cut me a deal on a pair of pre-owned Klipsch KG-2 speakers and a Paradigm center channel speaker. They know their products well, be it photo, audio, video. I like to buy locally, because returns are easy. Lacking in me was knowledge of current home theatre hardware components and connectors. In some stores a sales rep could be selling ladies under garments one week and low-end consumer electronics the next week. He might not know much. Asking their audio-visual salesperson if they carried TVs with ARC, revealed whether they were a reliable, knowledgeable source. Walmart and Target people didn't know but were willing to rip boxes open to find out. BestBuy and Rowe Photo knew what ARC was! Then I got a good deal from newegg.com who had a manufacture's closeout price of $200 on Klipsch F30 regularly $500. They are really nice and I enjoy them. I'm not just playing dumb movies and hemorrhaging a $350 monthly cable bill. Cable TV offers five hundred channels, 75% of which are of no interest to me or you. Update (01/01/17) I cancelled cable TV entirely. I use a mishmash of media supporting sources such as Netflix, youtube, Sling, -much cheaper. My DLNA library is now scrapped in favor of Spotify ($10), Pandora ($4), and Tidal ($20). An enzyme fuel treatment dramatically increases fuel economy, Star Tron eliminates black soot and exhaust stains, removes carbon build-up, stabilizes gas & diesel fuels, eliminates & prevents ethanol fuel problems. Safe for use with E10. Available at Sierra BMW Motorcycle Online, Walmart, Advance Auto Parts. I use Gumout All-In-One Fuel System Cleaner with every fill-up. Every time you step on the gas, you may be subjecting your engine to power-robbing deposits and friction. Unlike most fuel additives, Gumout All-In-One can provide complete fuel system cleaning and lubrication protection. He had a supernatural birth! According to North Korean historical literature, Kim Jong Il was born in a log cabin inside a secret base on Korea's most sacred mountain, Mt. Paekdu. At the moment of his birth, a bright star lit up the sky, the seasons spontaneously changed from winter to spring, and rainbows appeared. This contradicts way less interesting Western accounts of his birth, which state the dictator was born in a guerilla camp in Russia, while his father was on the run from the Japanese. These include: "Party Center · Superior Person · Dear Leader · Respected Leader · Wise Leader · Brilliant Leader · Unique Leader · Dear Leader (who is a perfect incarnation of the appearance that a leader should have) · Commander-in-Chief · Great Leader · Father of the People · Sun of the Communist Future · Shining Star of Paektu Mountain · Guiding Sun Ray · Leader of the Revolutionary Armed Forces · Guarantee of the Fatherland's Unification · Symbol of the Fatherland's Unification · Fate of the Nation · Beloved Father · Leader of the Party, the country, and the Army · Leader · General · Great Leader of our Party and of our Nation · Great General · Beloved and Respected General · Great Leader · Beloved and Respected Leader · Ever-Victorious, Iron-Willed Commander · Sun of Socialism · Sun of the Nation · The Great Sun of Life · Great Sun of The Nation · Father of the Nation · World Leader of The 21st Century · Peerless Leader · Bright Sun of the 21st Century · Great Sun of the 21st Century · Leader of the 21st Century · Amazing politician · Great Man, Who Descended From Heaven · Glorious General, Who Descended From Heaven · Supreme Leader of the Nation · Bright Sun of Juche · Leader of the Party and the People · Great Marshal · Invincible and Ever-triumphant General · Beloved and Respected Father · Guiding Star of the 21st Century · Great Man, Who Is a Man of Deeds · Great Defender · Savior · Mastermind of the Revolution · Highest Incarnation of the Revolutionary Comradely Love ·." He is the best natural golfer in history. In 1994, it was reported by Pyongyang media outlets that Kim Jong Il shot 38 under par on a regulation 18-hole golf course – including 5 holes in one! That score is 25 shots better than the best round in history, and is made even more amazing by the fact that it was his first time playing the sport. It's said Kim Jong Il would routinely sink 3 or 4 holes in one per round of golf, and – lucky for the PGA – he has since given it up. Since any American influences have long since been banned in his tiny communist country, Kim Jong Il had no choice but to create some new non-Western food by himself. North Korean newspaper Minju Joson reported that Kim Jong Il invented a new sandwich called "double bread with meat" in an attempt to provide "quality" food to university students. He then built a plant capable of mass hamburger production to feed his students and teachers, despite the fact that the majority of his citizens battle famine on a daily basis. The Fact: He once kidnapped a prominent director to film a Godzilla ripoff for him. Shin Sang-ok, a South Korean filmmaker, was kidnapped by Kim Jong Il, sent to prison, and eventually forced to make a film called Pulgasari that was basically a communist propaganda version of Godzilla. After Shin and his wife managed to escape North Korea while location scouting in Austria, Kim Jong Il shelved Pulgasari and all of Shin's other work. Kim Jong Il has since given specific instruction to his Ministry of Culture and his communist filmmakers: "Make more cartoons." In preparation for the World Festival of Youth and Students in 1989, Kim Jong Il had disabled res­i­dents re­moved from Pyong­yang. The government also dis­tri­buted pamphlets advertising a wonder drug that would increase the height of short peo­ple. Those who responded to the pamphlets were sent away to different uninhabited islands along with the disabled in an attempt to rid the next gen­er­a­tion of their supposedly substandard genes. Kijong-Dong is a propaganda city that was or­i­gin­ally built in the 1950s by Kim Jong Il's father right on the border, this was to display the North's superiority to the South and also to encourage people to defect. It has no actual residents, but an extensive effort has been put forth to simulate a functioning city, including lights on set timers, and street sweepers to create an illusion of activity. The use of modern telescopes has revealed that the units lack window glass, and some buildings are just concrete shells that don't even have interior rooms. The city also houses the world's largest flagpole, complete with a 300lb. North Korean flag. According to North Korea's newspaper Rodong Sinmun, Kim Jong Il's iconic style has become a global phenomenon. The inspired look of his zipped up khaki tunics with matching pants has been spreading across the world, an obvious testament to his outstanding image and influence. The paper didn't mention the popularity of the 4 inch platform shoes Kim wears, but his oversized shades definitely seem to be a big hit with the women of Hollywood. The "Fact": The world loves him. 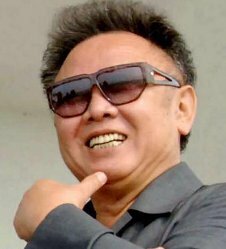 According to state-run media, Kim Jong Il is the most prom­i­nent statesman in the present world, and people in countries the whole planet over celebrate his birthday with films and festivals. In reality, most nations are confused by his erratic foreign policy decisions on important issues such as N. Korea's nuclear program. 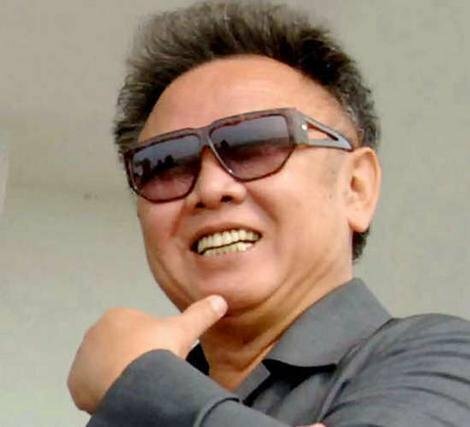 North Korean dictator Kim Jong Il (b. Feb. 16, 1941 d. Dec. 17, 2011) was born in a log cabin inside a secret base on Korea's most sacred mountain, Mt. Paekdu. At the moment of his birth, a bright star lit up the sky. Winter spontaneously became spring. Rainbows appeared. Has over fifty titles. Routinely got 3-4 holes-in-one per round of golf. Invented the hamburger. Even produced short movies. But he had disabled and short people deported from his capital. He maintains a completely deserted propaganda city built just to be looked at. He is a fashion trendsetter. The most prominent statesman in the world. People in countries the whole planet over celebrated his birthday with films and festivals. I worship the power of another deity; the power of another dimension. Now, you're not going to read about this dimension in a book, magazine, or newspaper because it doesn't exist anywhere except in my own mind. Through ceremonies and rituals I have witnesssed firsthand the awesome and vibratory power of color. I experience it as "alive" and constantly shaping our experience. I believe that this saturated energy is the basis of all creation. This is not an occult science. This is not one of those "crazy" systems of divination and astrology. That stuff's hooey and you've got have a screw loose to go in for that sort of thing. My beliefs are fairly commonplace and simple to understand. 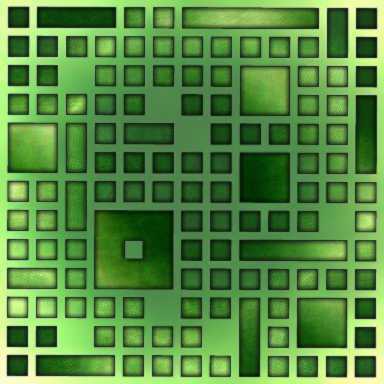 Humankind is simply materialized color operating on the forty-ninth vibration. Heck, you would make that conclusion walking down the street or going to the store. Notice that the House Representatives of the Tea Party all hail from the most backward states in the Union. Talking South Carolina, Mississippi, Louisiana, Alabama, Texas, Idaho, Oklahoma, Kansas, Wisconsin, Wyoming, Nevada. States that you probably wouldn't want to live in, let alone visit. Why couldn't we allow these lamebrains to secede from the United States and form their own Jackass Alliance? One method to amuse yourself is to change your facebook relationship status to the opposite of what it normally is. Wait for "friends" to question your status. If you have a college roommate, buy a Jack-In-The-Box. Every day, turn the handle until the clown pops out. Scream continuously for twenty minutes. Global warming may have caused the violent tornados in the late spring of 2011. Some suspect it's the work of Superman flying at great speed in concentric circles. But (like me) Superman is good; he stands for Truth, Justice and the American Way. He wouldn't do anything evil. Bizarro, an evil supervillian and his twin, would. Wikipedia says that Bizarro is a fictional character. His exploits with the Justice League of America prove that he exists.